Dr. William Thompson had just come forward admitting research fraud within the Centers for Disease Control and Prevention (CDC), and the film Vaxxed wouldn't be released for two more years. Meanwhile, politicians and medical trade groups — funded and directed by pharmaceutical company money — were racing behind the scenes to fulfill an agenda in the absence of widespread public push back. The pharmaceutically-funded mainstream media waited like guard dogs with hair triggers to assassinate the character of anyone in the public eye who had the courage to side with parental rights and common sense. 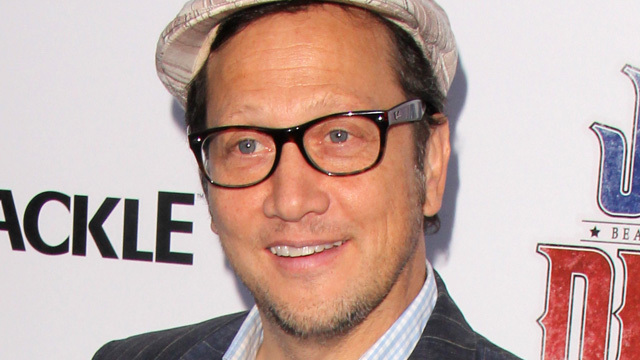 Enter Rob Schneider. Commanding a solid grasp on the reality of the pharmaceutical company power grab and dismal vaccine facts, Schneider's voice has been an essential addition to the global awakening of health freedom. As California families stare into the abyss of endless vaccinations, a common thread of resistance has united all walks of life. As one of very few public figures in the entertainment industry who had the courage to tell it like it was, and continues to do so, Schneider's points over the years have been concise and on target. In retrospect, the mainstream media hit pieces that have attempted to nullify his message can now be seen for what they really were — malicious attacks to stifle essential discussion. In September 2014, Schneider was dropped from his contract as a voice and face for State Farm Insurance directly after he chose to make his views on mandatory vaccination known through Twitter. Racing to capitalize on his dismissal, mainstream news stories continuously popped up to attack his character like an unethical, villainous game of whack-a-mole. While the mainstream media is busy running articles with titles like "Dear Rob Schneider, Please Shut Up About Vaccines," Schneider has chosen the independent media to release his press statement on vaccination. His statement is printed below in full and uncensored. In 1986, Congress passed the National Childhood Vaccine Injury Act and declared that government licensed and recommended vaccines are "unavoidably unsafe." In 2011, the U.S. Supreme Court said the same thing when they shielded vaccine manufacturers from vaccine injury lawsuits: vaccines are "unavoidably unsafe." Their words. Over THREE BILLION DOLLARS has been paid out to vaccine injured children and adults by the federal vaccine injury compensation program (VICP) under the 1986 Vaccine Injury Act. Because so few parents know about deadlines for filing vaccine injury claims in the VICP, most vaccine injured children never get their day in "Vaccine Court" and, even when they do, the government rejects compensation for two out of three vaccine injury claims. The fact that Congress and the Supreme Court have given pharmaceutical companies and doctors COMPLETE IMMUNITY from product liability and personal injury lawsuits is a big red flag for parents being pressured to give their children dozens of doses of "unavoidably unsafe" vaccines. Parents look around and see so many chronically ill children in America, even though most children have gotten the CDC recommended 49 doses of 14 vaccines before age six. That is twice as many vaccinations as children got in the early 1980's and three times as many vaccinations as children get in Europe. While our children today have gotten more vaccines than any other generation before them, there has been an explosion in the numbers of chronically ill children in the U.S. Over 50 percent (actually 54%) of our nation's children now live with these chronic diseases in numbers that were unheard of just a few short decades ago: ADHD and learning disabilities, peanut allergies, asthma, inflammatory bowel disease, childhood diabetes and obesity, rheumatoid arthritis, and children who suffer brain swelling (encephalitis) and seizures and are diagnosed with autism. Now there is a concerted effort by public health officials to mandate vaccines for adults, too. Health care workers are being fired if they don't get an annual flu shot, which CDC admits is a vaccine that doesn't work half the time!